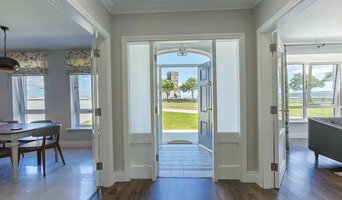 Aspect Interior Design Ltd. Are an established creative interior design company based in the beautiful seaside town of Tramore, County Waterford. 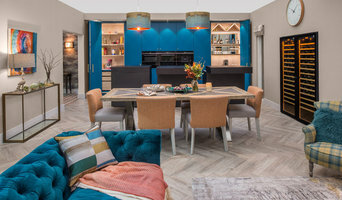 Our chief Interior Designer, Brenda Sorensen, has been offering design services for over 10 years, and has been featured in many design magazines, radio and TV shows and is recognised as one of the South-East’s most highly regarded Designers. Since graduating with distinction from Limperts Academy of Design, Brenda has completed numerous projects, ranging from residential restyling, show homes, commercial and retail premises, to hotel refurbishments and beauty spa setups. Our designs are always made to meet the needs of the client, whether contemporary or traditional, or somewhere in between. It is our belief though that all projects, large or small, are a partnership between the Designer and the client. We will listen to you and work with you to find a design that suits your tastes, and create a space that comes from the best design practices and best advice, but is filled with your personality. Kate Holohan is an interior designer based in Killenaule, Thurles, Co Tipperary. With over 20 years of design experience and her passion and natural flair for interiors, Kate can breathe new life into tired interiors, revitalising homes and living spaces. Each project is managed to the last detail, is tailored to individual clients needs, desires and requirements and includes every aspect of either a new interior design or a refurbishment project. Hélène first opened the doors to her interior design studio in 1999. Hélène is a Dublin & Kilkenny based interior designer. She believes that “a room should evolve.” As a graduate of Rhodec and the College of Marketing & Design (DIT), Hélène brings extensive knowledge of interior design and decorative arts to her design work. While beautiful rooms are Hélène’s first consideration, client service and attention to detail are of the utmost importance. Hélène's classic contemporary interiors have been featured in Image Interiors, The Irish Times, Ideal Home, Homes Interiors & Living, House & Home, Irish Homes, Irish Interiors and The Sunday Independent. Her extensively published work has won wide recognition, placing Hélène among the elite of Ireland’s top designers. 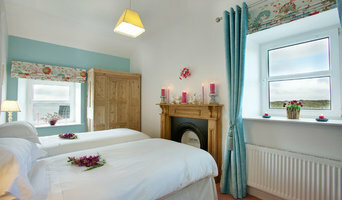 Interior Designer based in Tipperary. Tomasz Kaluba Design Studio specialises in furniture and interior design, providing an in-depth, individual approach to every project supported by original aesthetic and functional solutions. At Inside Design Wexford we have the skills to identify and creatively solve all your Interior Design problems. We will help you plan your interior space and layout in a manner that is both practical and aesthetically pleasing to inhabit, whether domestic, corporate or hospitality. We can advise, plan and manage everything from the makeover of a single room to an entire project, and each project undertaken by us will have the personal supervision of South East Interior Designer, Aodhain Scallan. Your ideas will be explored, defined and translated with the minimum of fuss. We can kick start your project with interior design options, fabric samples, furniture & flooring concepts that will inspire and delight you. What’s the difference between interior designers and interior decorators? These two closely related professions are often mistaken for the same thing, however there are some significant differences to be aware of before deciding which to hire. An interior designer, sometimes known as an interiors architect, can run full renovation and structural design projects, and will use specialised knowledge of interior architecture, construction systems and components, building regulations, materials and furnishings to arrive at your dream home design. Interior design companies are able to plan spaces and room functions down to the last detail, and can help design and renovate interiors, from initial planning phases to placing the last decorative accessory. A decorator on the other hand will typically be involved only in the aesthetic layer, the “look and feel” of a space, and won’t be able to assist in renovations that require structural work. Interior decorators normally come on board after all structural work is complete. So choose your Waterford interior designer according to the type of work you need. 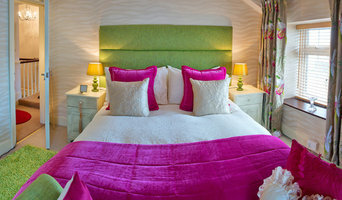 Why should I hire an interior designer in Waterford? They say life is what happens while you’re busy making plans. Some of us are just too preoccupied with a career and/or family to think about colour schemes, wallpaper, flooring and lighting. A professional interior designer in Waterford can save you bags of time, stress and months, if not years, of living in a half-finished home. It’s their job to stay on top of the latest trends and to have contacts and visual references coming out of their ears. Interior designers and decorators can also save you money, sourcing products via trade contacts or offering affordable alternatives to blowout iconic designs. How do I choose the right Waterford interior designer for my home? Good design and visual inspiration are all around us. Start by searching for interior architects and interior designers in Waterford on Houzz. Keep a lookout for images of rooms and features that you really like and save them to your Ideabooks to begin to develop an understanding of your own style and taste. If you notice that photos from the same interior design companies are popping up regularly then that is a good hint that they could be your perfect design match. 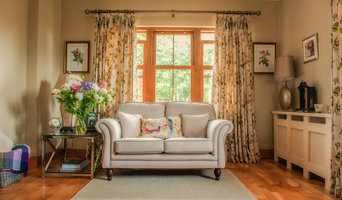 You can feel most confident if you hire an interior designer or interior design company in Waterford that has completed work similar to the look and feel that you desire, whether that is a mix-and-match lounge oozing mid-century modern style, a pale and interesting minimalist bedroom with shots of colour, or a beautiful space inspired by Scandinavian design. You may want to check if your designer is a member of the Society of British and International Design (SBID) or The British Institute of Interior Design (BIID). Both are a benchmark of quality and reliability. And check if your interior designers can offer you the right type of service – some companies are design only, while others can oversee the whole project. If it is the latter that you seek, make sure any sub-contractors used are fully accredited and it is clear who they are supposed to report to. If late alterations are made to the plan, the contractor should receive a change order, thus minimising the risk of a dispute about what was and wasn’t agreed to after the start date. How much does an interior designer in Waterford cost? Some interior design companies and interior decorators will charge an hourly consultancy rate, particularly if you can’t clearly define scope of the brief. Others prefer to take a percentage of the total project cost, which can vary from 10-20%. The key thing is to be very clear about your budget and your scope from the start, to ensure your designer can advise you on what is achievable. And remember, their contacts will probably save you money. A contingency fund of 10-15% is also recommended, especially if open-ended structural work is involved. What are some of the important questions to ask Waterford interior designers or interior decorators? What relevant professional interior design qualifications do you have? Are you a member of BIID or SBID? Is your quote fixed and VAT-inclusive? What is not included? What is the proposed completion date and what happens if you do not meet that? Do you have professional indemnity insurance, public liability insurance and employers’ liability insurance? What happens if there is a dispute regarding the designs or the quality of workmanship? Start searching for an interior design Waterford professional in your area who can bring life to your interiors and reinvent your home for you. Look through reviews, projects and ratings to decide on the best interior designer in Waterford for your taste and style.